While Shannon was on vacation, I invited my sister, Tonya, to take a jog down the psychedelic memory lane that included live action kids shows where someone was inevitably transported to a “strange land” where they had to fight a mysterious evil. The graphics were bad. The acting was bad. The plot line was bad. And yet… we loved it. It just goes to show that kids simply need to be entertained. Maybe you’re a child of the 70s. If so, we know you’re going to nod along as we reminisce about what once passed for entertainment mostly on Saturday mornings. But if you’re a child of the 80s, 90s, or, um, later, I’m happy to report that most of this nonsense is available on YouTube and welcome you to go down that rabbit hole. 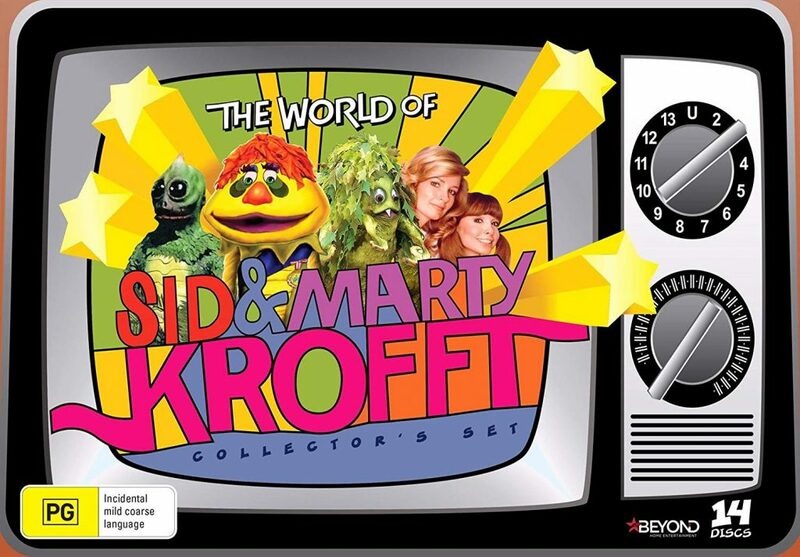 Sid Krofft and Marty Krofft are a Greek Canadian sibling team of television creators and puppeteers who were influential in children’s television and variety show programs and the founders of their production company, Sid & Marty Krofft Pictures in the U.S., particularly throughout the 1970s and early 1980s. Curiosity Shop – Sponsored by the Kellogg’s cereal company and created as a commercial answer to Sesame Street, three inquisitive children (two boys and a girl) who each week visited a shop populated with various puppets and gadgets, discovering interesting things about science, nature and history. 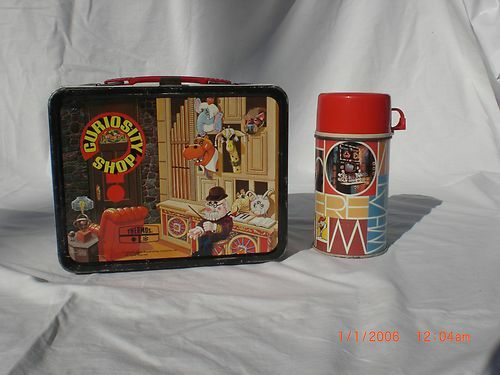 The Curiosity Shop lunchbox we talked about! We never even noticed that this Japanese show was badly dubbed. Surely there’s a show that you remember that we missed. Or maybe you only remember hints of it. Let us know and we’ll do our best to track it down. Even better, if you want to share your memories with us, leave a message at 315-STING-TV (315-784-6488) and we’ll play it on our next episode!